April is Child Abuse Prevention Month. In recognition of that, this display, created by a local Eagle Scout, is being featured on the lawn outside the Franklin Police Department. 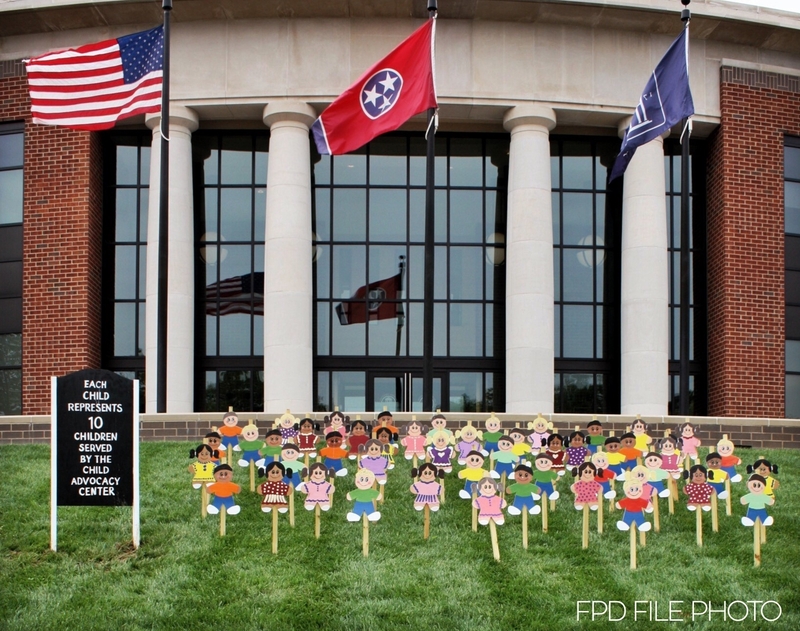 The 30 ‘kids on the lawn’ represent 300 abused Williamson County kids served by the Davis House Child Advocacy Center last year. The display provides a visual representation of what so many of our community’s children and families face. 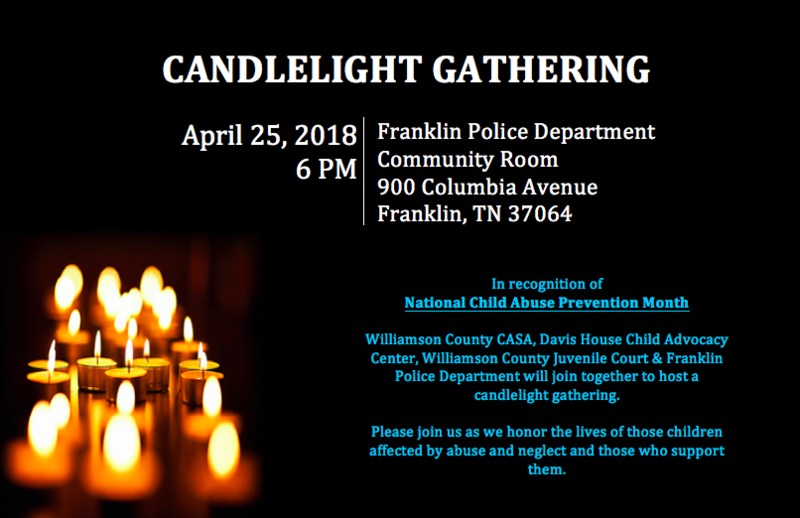 📆 A public candlelight gathering honoring the recovery of abused children will be held at Franklin Police Headquarters on April 25.